With a stay at Route 66 Motor Inn in Emerald, you'll be within a 15-minute walk of Emerald Botanic Gardens and Central Highlands Visitor Information Centre. This 4-star motel is 0.9 mi (1.5 km) from Emerald Golf Club and 1.3 mi (2.1 km) from Emerald Hospital. 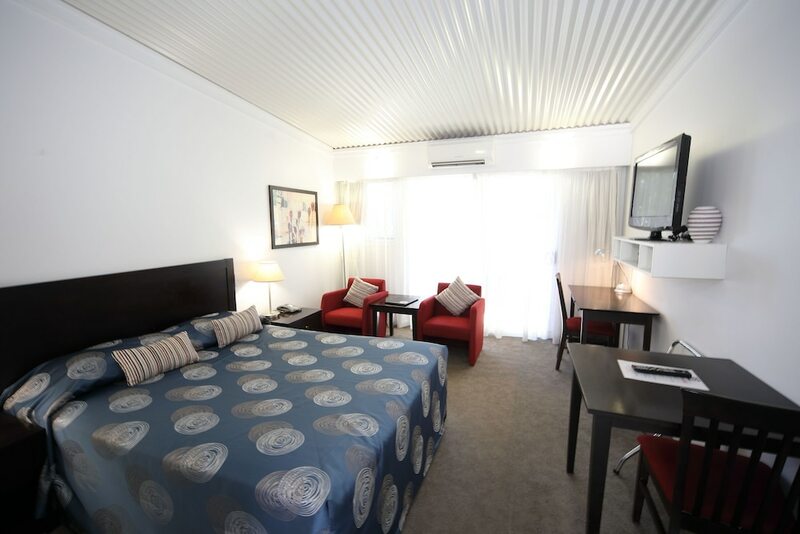 Make yourself at home in one of the 63 air-conditioned rooms featuring LCD televisions. Complimentary wired and wireless Internet access keeps you connected, and cable programming provides entertainment. Private bathrooms with showers feature rainfall showerheads and hair dryers. Conveniences include phones, as well as safes and desks. Airport shuttle service is available from 9 AM to 7:30 PM. Fees may apply. Contact the property in advance to get details.